Ms. Serely Alcaraz has been in the human resource and organization development profession for 25 years. 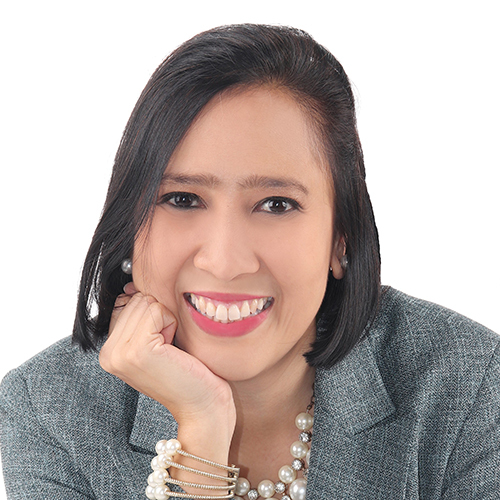 She is the Executive Director of ITD World Philippines and previously worked as the Manager for Marketing and Instruction at Dale Carnegie Training and Associate Consultant at Development Dimensions International (DDI). She is a master trainer of Thomas Crane’s The Heart of Coaching, certified facilitator of John Maxwell and Jack Canfield programs, DDI and Dale Carnegie Courses. She has developed over 100,000 leaders globally in the areas of coaching and mentoring, creativity and innovation, talent development and engagement, among others. She was the 2006 President of the Philippine Society for Training and Development and 2015-2016 President of ARTDO International.